Link rot refers to the process, often natural, by which working links on a web page point to resources — generally pages, but also things like images or even entire servers — that eventually become unavailable. Basically, it’s when working links become dead links.This includes internal as well as external links. So that great article that perfectly explains and supports that point you were making now points to a 404 page or even a totally unrelated (or maybe even dodgy) page. How Common is Link Rot? What’s So Bad About Link Rot? Link rot can cause all sorts of problems for users and crawlers. And, therefore, website owners. User confusion and annoyance when they click on a link and see an error page. Lost customers when they can’t complete the sales process. Crawlers to get lost or stuck in your site when it can’t navigate from page to page. You site to look like a low quality site if it has too many broken links. Just for those 4 reasons, link rot is something you need to deal with. 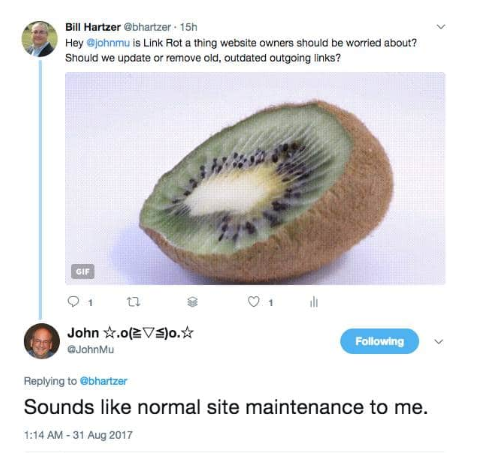 But if that’s not compelling enough, Google’s John Mueller himself said that Google views link rot as “normal site maintenance.” Meaning if you don’t deal with it, it can hurt your SEO and rankings. Of the 2 types, internal link rot is easier and simpler to deal with because you control the links. You don’t have to worry about reaching out to other people and hoping they update their links. 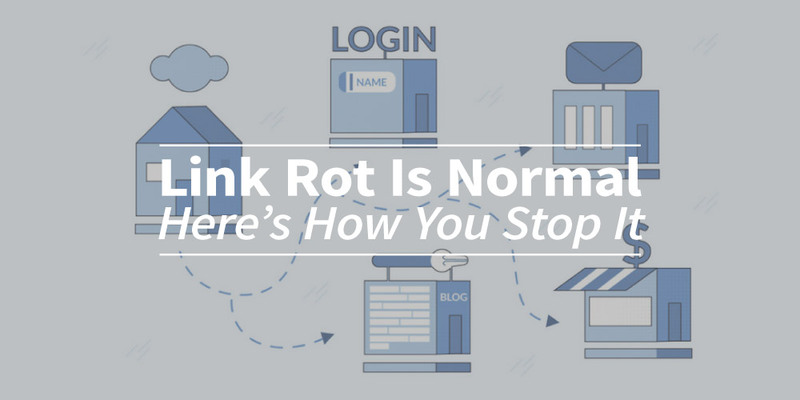 Dealing with internal link rot is relatively simple: crawl your site to find dead links and replace them. You can check individual pages with the Check My Links Chrome plugin. Add a 301 redirect pointing from the removed URL to the new content if it exists (otherwise, let it 404). For broken external links on your pages, update the link to point to a new resource. You can remove the link altogether, but remember that you put a link there for a reason, so make sure you’re doing what’s best for your users. Don’t get lazy! Link rot isn’t all bad. In fact, it can open up a lot of opportunities for you to build backlinks to your website. And it doesn’t require you to create any new content. 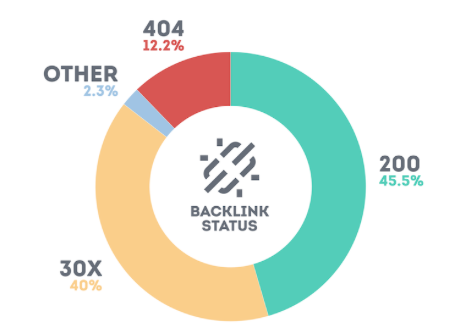 Broken link building is the process of visiting a authoritative website in your niche, crawling it to find broken links, and then reaching out to the site owner offering your own pages to replace the dead ones. It’s relatively quick and simple and often sees very high conversion rates because nobody likes having broken links.